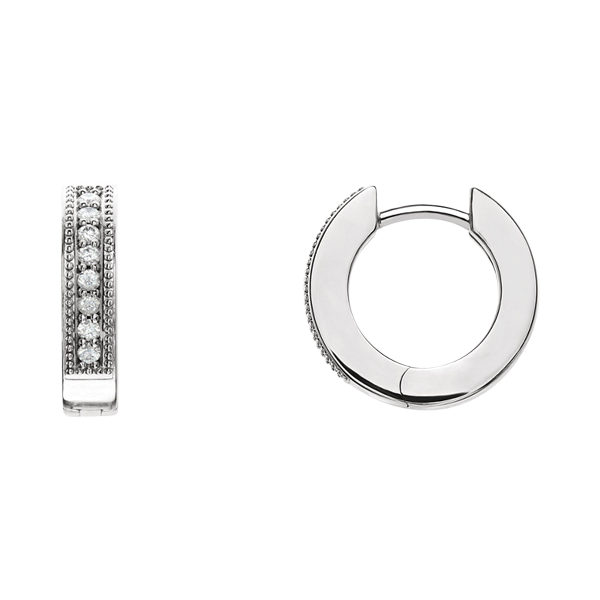 Platinum 1/6 ctw Diamond Hoop Earrings. This lovely pair of hoop earrings features a milgrain border either size of the center set line of diamonds. 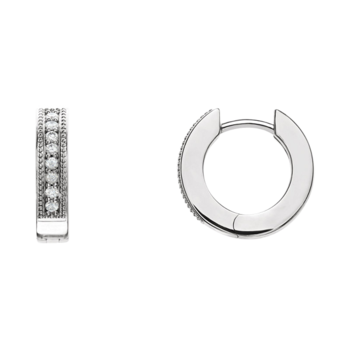 Platinum is naturally hypoallergenic, a luxurious choice for anyone allergic to Gold.